Spring, Texas – January 18, 2019: Luckily, we will not have the temperatures that we predicted earlier in the week. The National Weather Service says tonight’s cold front should move through quickly and be off the coast by 6 AM Saturday morning. Temperatures should be dropping throughout the day on Saturday. There may be some storms with the front but the threat for severe weather remains minimal. 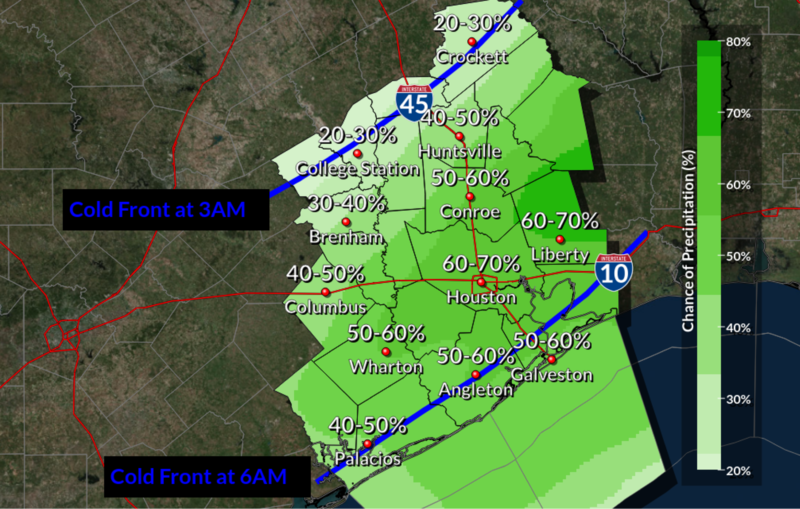 On Sunday, there is still a possibility of a freeze in and around Houston, but a hard freeze is NOT expected. Wind chills will be in the low to mid 20’s with winds around 10 MPH.